SAN FRANCISCO, California, April 24, 2017 (ENS) – The world’s richest award to grassroots activists will be handed to six courageous people from around the world today. Winners include a child soldier who now protects a Congolese park, an East Los Angeles resident who battled lead contamination of homes, and an Australian octogenarian who stood up to coal mining. The Goldman Environmental Prize is awarded annually to one activist from each of the world’s six geographic regions: Africa, Asia, Europe, Islands and Island Nations, North America, and South and Central America. The Goldman Environmental Prize was established in 1989 by the Goldmans, San Francisco insurance executive Richard and his wife Rhoda, an heir to the Levi Strauss fortune, to honor and inspire grassroots environmental activists around the world. Awarded every year to mark Earth Day by the Goldman Environmental Foundation, headquartered in San Francisco, the prize consists of an award of US$175,000 for each recipient to be used in any way they wish. Rodrigue Katembo, Democratic Republic of Congo, has won the 2017 Goldman Environmental Prize for Africa. Putting his life on the line, Katembo went undercover to document and release information about bribery and corruption in the quest to drill for oil in Virunga National Park, resulting in public outrage that forced the company to withdraw from the project. In 2010, the Congolese government sold the British oil company SOCO International the right to explore for oil in an area known as Block V, half of which extends into Virunga National Park. A World Heritage Site, Virunga is the oldest national park in Africa, the crown jewel of Congo’s ecotourism, and a habitat for about a quarter of the world’s population of mountain gorillas. The park’s protection ensures surrounding communities’ access to water and food, as well as economic opportunity for the 3,500 people employed by the park, ecotourism operators, and a small hydroelectric plant. Virunga, on Congo’s eastern border shared with Uganda and Rwanda, has been ground zero for the country’s military conflicts, making patrolling the park one of the most dangerous jobs in conservation. 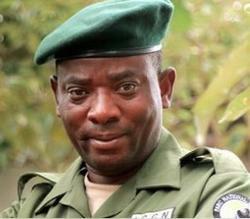 More than 160 park rangers have been killed in the line of duty over the past 15 years, by armed rebels and poachers. Katembo is a Congolese park ranger who grew up during the turbulent years following the country’s independence from Belgium. He was forced into being a child soldier at 14 years old, but left after his mother helped him escape. Katembo returned to school, studied biology in college, earned master’s degree and became a park ranger at Virunga National Park in 2003. With a reputation for high integrity and exceptional leadership, Katembo became warden of the park’s central sector, an area of interest to oil companies. On patrol in 2011, Katembo discovered vehicles whose occupants claimed they had legal authorization to drive into Virunga National Park and set up an oil exploration base by the river. They offered Katembo money in exchange for letting them pass, but he refused, holding firm to his principle that the park belongs to the people of Congo and the world. Coordinating with his team via radio, he got the vehicles out of the park. Katembo reported the incident to the park director, Emmanuel De Merode. They agreed on the need to document evidence of corruption, and met with a film director who helped Katembo with undercover cameras to record footage of SOCO and its contractors offering bribes and discussing illegal activities. Katembo conducted these investigations at a huge risk, knowing that corruption likely extended into the ranks of Congolese military and executives at the national agency overseeing Congo’s protected areas. Katembo and the footage he gathered were featured in the documentary film “Virunga.” The film premiered in April 2014 at the Tribeca Film Festival and gained an international audience through Netflix. Investigative media outlets picked up the story, and in July 2015, the Church of England announced divestment of its US$1.8 million holding in the company. In November 2015, SOCO gave up its oil license in Block V.
Since SOCO’s departure, wildlife is recovering. Populations of hippos and elephants, which had been poached as part of SOCO’s attempts to devalue the park, have stabilized. With better security in the park, civilians are free to access water and fish at Lake Edwards. But Katembo has paid a huge price. In September 2013, days after he had stopped a SOCO team from building a telecommunications antenna in the park, Katembo was arrested and tortured for 17 days. He returned to duty immediately after his release. In 2016, Katembo helped shut down eight quarries and removed more than 1,400 small-scale miners who were illegally mining for coltan, a metal used in smartphones. Extractive industries and armed rebels remain the most serious threats to the understaffed and under-resourced park, its biodiversity, and Katembo’s safety. Katembo now has been promoted to director of Upemba National Park, where he continues to protect the park and wildlife from poachers, militia, and extractive industries. 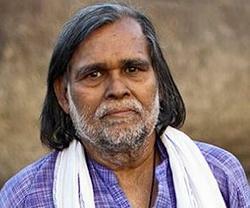 Prafulla Samantara, India, has won the 2017 Goldman Environmental Prize for Asia. A leader of social justice movements in India, Samantara led a historic 12-year legal battle that affirmed the indigenous Dongria Kondh’s land rights and protected the Niyamgiri Hills from a massive, open-pit aluminum ore mine. The forested Niyamgiri Hills in India’s eastern Odisha state are inhabited by endangered Bengal tigers and are an elephant migration corridor. More than 100 streams flow from the peaks, a critical water source for millions before emptying into the Bay of Bengal. The hills are sacred to the Dongria Kondh, an 8,000-member tribe, fruit farmers with a deep knowledge of the forest’s medicinal plants. In October 2004, the Odisha State Mining Company, OMC, signed an agreement with UK-based Vedanta Resources to mine bauxite, an aluminum ore, in the Niyamgiri Hills. The open-pit mine would destroy 1,660 acres of untouched forestland to extract more than 70 million tons of bauxite, polluting water sources. Roads to transport the bauxite would leave the forest vulnerable to loggers and poachers. Samantara, raised in a farming family, studied economics and law and built a career as a social justice activist. In 2003, he saw a newspaper announcement of a public hearing about bauxite mining in the Niyamgiri Hills. The hearing would not be accessible to the isolated Dongria Kondh, who lack English and access to computers. Samantara alerted the Dongria Kondh that their land had been given away. He went from village to village to meet with local communities, walking or biking through remote routes to avoid mining supporters. Through peaceful rallies and marches, he organized the Dongria Kondh to maintain a strong presence in the hills to keep the mine from moving forward. He filed a petition with the Supreme Court’s panel governing mining activities, becoming the first citizen to use the legal system to halt the Vedanta mine. 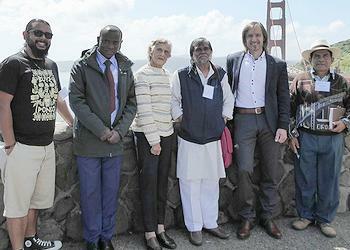 Investors began to raise concerns about Vedanta’s environmental and human rights record. The Norwegian pension fund and the Church of England divested their shares from Vedanta, citing concerns about the Niyamgiri Hills. Almost a decade after Samantara’s initial filing, on April 18, 2013, the Supreme Court ruled that local communities must have the final say in mining projects on their land, and gave village councils from the Niyamgiri Hills the right to vote on the Vedanta mine. By August 2013, all 12 tribal village councils had unanimously voted against the mine. In August 2015, after years of partial operation and stoppages, Vedanta announced the closure of an aluminum refinery it had built in anticipation of the mine’s opening. OMC sought to overturn the tribal council votes. OMC petitioned to mine the bauxite as a sole venture, but following an appeal from Samantara, the Supreme Court denied the petition in May 2016, leaving the future of the Niyamgiri Hills in the hands of the Dongria Kondh. 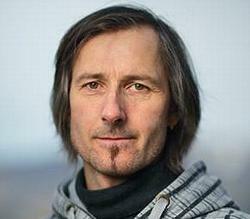 Uroš Macerl, Slovenia, has won the 2017 Goldman Environmental Prize for Europe. Macerl, an organic farmer from Slovenia, successfully stopped a Lafarge Cement kiln from co-incinerating petcoke with hazardous industrial waste. Using his status as the only citizen allowed to challenge the plant’s permits he rallied legal support from fellow activists in Eko Krog, a local environmental group organized by volunteers. Macerl, president of Eko Krog, is an organic farmer whose family farm lies in Trbovlje. Growing up, he recalls seeing snow turn black from coal dust and pollution and tap water that ran black. When the European Union introduced carbon incentives to industries replacing coal with medical waste, old tires, and other industrial residue, manufacturers converted their factories. Among these companies was Lafarge Cement, which in 2003, took over a 130-year-old cement plant in Trbovlje and began burning petcoke, a byproduct of oil refining that burns hot and dirty. Cement production is a polluting process; this industry alone is responsible for nearly five percent of the world’s carbon dioxide emissions. The air quality in Macerl’s area got worse and he began organizing farmers, residents, and local groups to collect air quality data that showed an increase in dangerous pollutants since Lafarge began burning petcoke. Macerl came to a breakthrough in 2009 when Lafarge applied for an environmental permit to co-incinerate hazardous industrial waste with petcoke. The company claimed that only areas within 500 meters of the main chimney stack would be affected by the emissions. Part of Macerl’s property fell within that zone, giving him legal standing to challenge the permit in court. The Slovenian government approved the permit, and Lafarge began incinerating over 100 tons of hazardous industrial waste on a daily basis. Macerl filed and won a lawsuit that canceled the permit, but Lafarge continued to burn petcoke and waste. Eko Krog and Macerl informed the European Union. Macerl rallied community opposition and organized protests in Trbovlje and the capital. The European Commission sided with Macerl and requested that Slovenia be brought before the European Court of Justice for failing to enforce EU pollution standards. Slovenia finally ordered Lafarge to halt production, and the company complied in March 2015. Since the plant’s shutdown, the region has cleaner air. Spruce trees are again growing on Macerl’s farm, and migrating birds have returned. The number of days with dangerous pollution levels have dropped to 50 a year, from 160 at the height of Lafarge’s operations. Lafarge continues its attempts to restart co-incinerating petcoke and waste. Wendy Bowman, Australia, has won the 2017 Goldman Environmental Prize for Islands and Island Nations. In the midst of an onslaught of coal development in Australia, Bowman stopped a powerful multinational mining company from taking her family farm and protected her community in Hunter Valley from further pollution and environmental destruction. New South Wales, on Australia’s eastern coast, once was a region of dairy farms, ranches, race horse farms, and vineyards. But in Hunter Valley, farms have become islands surrounded by oceans of open-pit coal mines. In the name of economic growth, government is issuing coal licenses regardless of mining’s impact on local residents’ lives. Almost two-thirds of the Hunter Valley floor is covered in coal concessions, producing 145 million tons of coal a year. The majority is shipped to foreign markets, cementing Australia’s place as the world’s largest coal exporting country. Coal mining has displaced many landowners in the valley. Those who remain live surrounded by around-the-clock blasting and heavy equipment operation. Coal dust settles everywhere. A survey by a local physician found that one in five children in the valley have lost 20 percent of their lung capacity; asthma, heart disease, cancer, and mental health problems are on the rise. Bowman, 83, is one of the last residents left in Camberwell, a village in Hunter Valley surrounded on three sides by coal mining. In 1988, four years after her husband’s death, Bowman’s crops failed. A coal mine had tunneled under a creek that irrigated her farm, and heavy metals in the water caused the crops to die. Then, another mine broke ground on nearby land, causing constant noise and light pollution. Coal dust from the mine covered her fields, and the cows refused to eat. 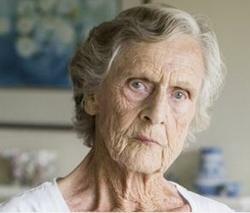 After a four-year battle, Bowman convinced the mine to buy out her devastated farm. In 2005, she had to relocate again when she was served an eviction notice, and given six weeks to move to make room for a coal mine. She then settled in Rosedale, on a small cattle farm in Camberwell. In 2010, Chinese-owned Yancoal proposed to extend the Ashton South East Open Cut mine, which would bring mining operations onto Bowman’s Camberwell grazing lands and the banks of one of Hunter River’s most important tributaries. This time, Bowman was determined to stay and protect the community’s health, land, and water. As one of the few landowners left in the area, Bowman became a key plaintiff in a public interest lawsuit to fight the mine expansion. More than half of the coal for the proposed mine is under her property. The Land and Environment Court ruled in December 2014 that the Ashton expansion could proceed, but only if Yancoal could get Bowman to sell them her land, the first time an Australian court restricted a mining company this way. The New South Wales Court of Appeals affirmed the lower court’s decision. Bowman has refused offers of millions from Yancoal, and is now working on a plan to have Rosedale protected in perpetuity. She has installed solar panels on her property and envisions an energy future where Hunter Valley is powered by its abundant sun and wind. mark! Lopez, United States, has won the 2017 Goldman Environmental Prize for North America. 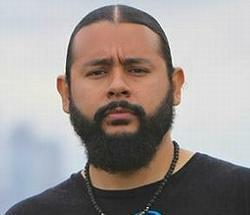 Born and raised in a family of community activists, Lopez persuaded the state of California to provide comprehensive lead testing and cleanup of East Los Angeles homes contaminated by an Exide battery smelter that had polluted the community for over three decades. A sampling of dust on rooftops of nearby buildings found levels of neurotoxic lead of 52,000 parts per million; 1,000 parts per million is considered hazardous waste. In April 2016, Governor Jerry Brown approved $176.6 million for the testing and cleanup of affected homes. Lopez was appointed co-chair of the advisory committee responsible for overseeing the cleanup. While it is one of the largest environmental cleanups in California history, the funds will only cover a fraction of the total homes that need remediation. A newly imposed battery recycling fee is expected to raise additional funds and help other communities in the state affected by defunct battery smelters. 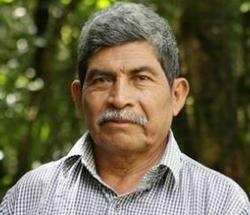 Rodrigo Tot, Guatemala, has won the 2017 Goldman Environmental Prize for South and Central America. An indigenous leader in the Q’eqchi Maya community of Agua Caliente, Tot’s work led to a landmark court decision that ordered the government to issue land titles to the Q’eqchi people and kept environmentally destructive nickel mining from expanding into the community. A village of 75 families located in the municipality of El Estor, department of Izabal, Agua Caliente is near Lake Izabal, Guatemala’s largest lake. In the 1960s, the Guatemalan government issued permits to multinational nickel mining companies. As the price of nickel crashed in the 1980s, withdrawing companies discharged untreated wastewater into Lake Izabal, making it the most polluted lake in Guatemala. In 2006, as nickel prices rose, mining companies returned to El Estor. The government issued a permit to restart the Fénix mine and expand its operations into the Q’eqchi village of Agua Caliente. The company’s security forces removed people from their land, in violation of international treaties that require free, prior, and informed consent of indigenous communities. On February 8, 2011, two years after the community of Agua Caliente filed a lawsuit, the Constitutional Court ordered the government to issue land titles to the people of Agua Caliente. The government has yet to enforce the court’s ruling, and the mining company continued to pursue the expansion. Tot set up a community watch group against trespassers. In 2014, security forces tried to enter Agua Caliente but withdrew after a peaceful standoff led by Tot. They have not returned. The case has been escalated to the Inter-American Commission on Human Rights. “The Commission’s decision to get started with the legal discussion of our petition will pave the way to confirm that the state-issued mining permits and the company’s mining activities violate the land rights of the Q’eqchi people, especially of my community,” said Tot. The Goldman Environmental Prize award ceremony will be livestreamed today from San Francisco’s War Memorial Opera House, followed by a ceremony in Washington, DC on Wednesday. Watch here.